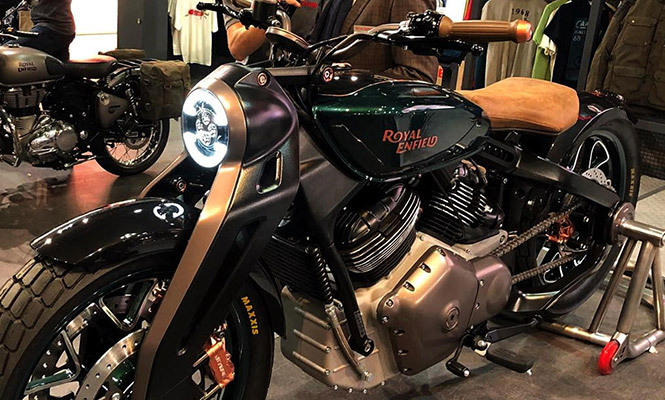 The most advanced machine of the Royal Enfield, the KX Concept which was showcased at the EICMA show last year, has now been showcased in Thailand at the 2019 Bangkok Motor Show. Vimal Sumbly, Head Business, APAC Region, Royal Enfield unveiled the bike at the event. Other than the debut of KX Concept in Thailand, the bike maker has earlier announced the setting up of a manufacturing and assembly unit in the country. It will be the second country post-India to manufacture and assemble Royal Enfield motorcycles. The Concept KX features a round shape console as like most cruisers and bobbers available in the two-wheeler market. It looks like a classy analogue unit, albeit it’s an all-digital display which showcases numbers, pointers, alphabets and everything in digital format. Besides being a retro-modern fusion, this small-sized console is practical and conveys a lot more information to the rider. Like, tachometer (RPM) which is colour-coded and displayed across the top circumference, gear position and speedometer in the centre, digital watch on the bottom’s left as well as a trip meter at the right bottom. Additionally, the smartphone connectivity is also being provided with the Concept KX that is relevant and needed, considering current time. The options include GPS, Bluetooth and hotspot which are visible at the centre bottom area of the console. For better use of all-digital instrument console, the Royal Enfield Bobber bike may offer Concept KX with a sort of special switches on the left handlebar which would allow easy access on the items displayed on the console. Instead of switches, a touchscreen may also be considered but it won't be a feasible option to adjust console on the go. The switches, on the other hand, make a practical sense and Concept KX also expected to get the same. 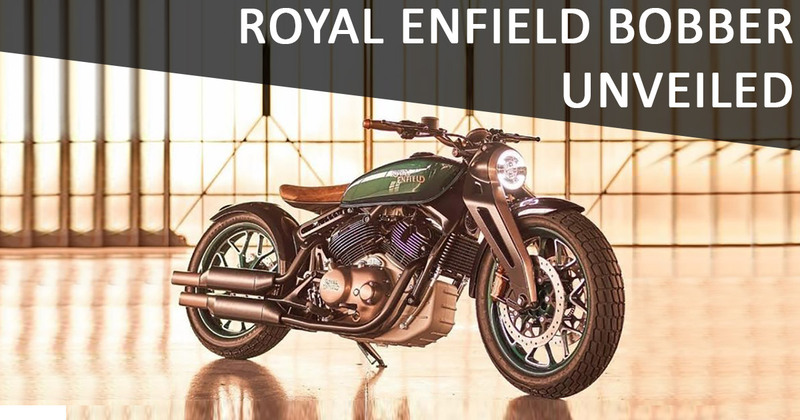 The development of a retro-modern console is innovative and it is expected that Royal Enfield can use this fusion in its other products. Royal Enfield Concept KX is expected to hit the production line in around 2-5 years. Since then, the concept may go under the knife for a number of alterations for practical purposes and rider convenience.